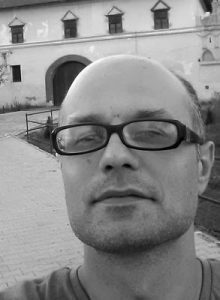 Cosmin Radu obtained his PhD in Sociology from the University of Bristol in 2017 with a historical ethnography on how international borders are constructed through transboundary mobility practices. His PhD thesis concentrates on the Romania-Serbia border and the ways it was ‘made’ and ‘remade’ ‘from below’, since the end of WWII until present. He also holds an MPhil in Social Anthropology from the University of Manchester (2012) and an MA in Sociology and Social Anthropology from the Central European University, Budapest (2007). His research interests include the study of borders and the state, migration, social movements, labour studies, social and political theory, Eastern and Central Europe, and the history of the 20th century. He published essays and research articles in Anthropological Theory, Focaal, as well as in various edited volumes.